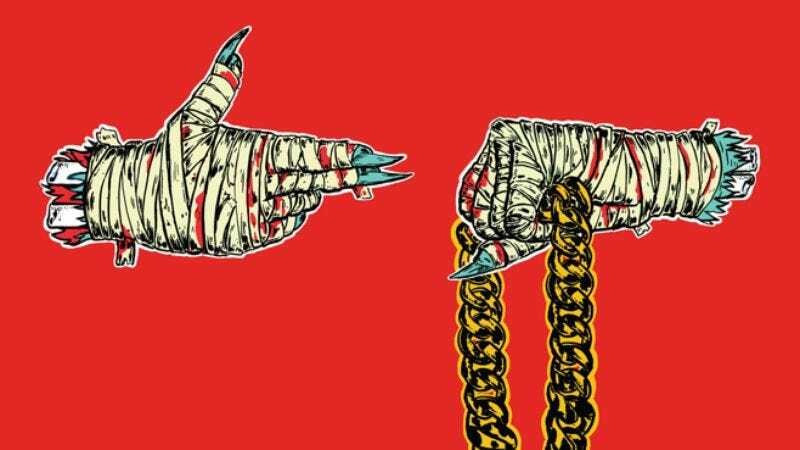 With all the hype surrounding El-P and Killer Mike’s second album under the Run The Jewels moniker, it’s only fitting the duo would bring all that pre-release excitement to a head by just dropping it early for free. Serving as the follow-up to last year’s critically acclaimed Run The Jewels, the album features another batch of collaborators—Rage Against The Machine’s Zack De La Rocha, Blink-182’s Travis Barker—to bolster the duo’s affable, glitchy hip-hop. The physical release won’t out be until next week via Mass Appeal, and El-P has only just begun interviewing cats for the Meow The Jewels remix album, which has artists like Zola Jesus, Portishead’s Geoff Barrow, the Alchemist, and many more slated to contribute tracks. But in the meantime, Run The Jewels 2 can be yours immediately—either in the direct link provided by El-P, or on the Run The Jewels website in exchange for an email address.